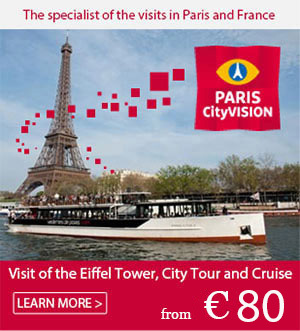 Discover in this article ideas of unusual things to do in Paris ! Paris in a 2CV, striped mariner’s shirt and beret, how French can you get! The “French way of life” is what the “4 roues sous 1 parapluie” (“4 wheels under an umbrella”) agency offers with its services for individuals or companies. Choose from the itineraries on offer, or customise your route to fit your fancies and hop on board the 2CV to explore the city! Who wants to follow the Paris trail? Visiting Paris is great, but how about seeing something that’s not in your guidebooks? Now you can, with this highly original concept that lets you discover the city through a scavenger hunt! 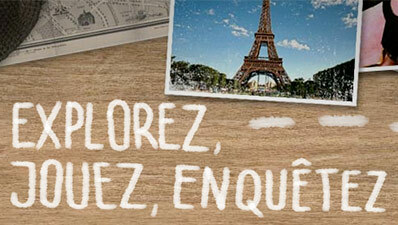 Get together a team of 6 people, choose your itinerary, and set off to solve the riddles of Paris! Go to the website “quiveutpisterparis.com” to book your scavenger hunt and see if you can win the prize for the team with the high+B5est score! A sure way to meet people and have fun! Did you know that more than 900 film shoots take place in Paris each year in 5,000 different natural locations? Walking down a little side street you may well bump into a film crew! Not sure where to start your visit? Are you a film buff or simply curious? Get one of the 17 “Parcours cinéma” maps available on the Paris City Hall website and set off to explore the capital in the tracks of cult films like “Paris, je t’aime”, “La vie en rose” or “Ratatouille” for the little ones! Admit it, secretly you’ve always wanted to be part of a film? Now it’s possible with the “Rocky Horror Picture Show” nights where fiction becomes reality every Friday and Saturday! What happens on the screen, happens in the room! Get your spectator kit, go to Studio Galande and take part in an interactive show hosted by the “Sweet Transvestites” troupe. Paris by day or by night is great, but have you ever tried seeing Paris from above? Get a new viewpoint from the famous “Observatoire atmosphère Generali” balloon! The Parisians use it to find out what the pollution rate is (from green to red, indicating good to bad), but you can hop in and float 150m above Paris!